We take pleasure to introduce ourselves as one of the renowned firms for providing the best-in-class range of SOP Stand. We are passionately engaged in manufacturing and supplying an exclusive array of Sop Stand for our esteemed clients. - Sop Stand as per design 304 quality. In order to retain remarkable position in this industry, we are providing a wide array of SOP Paper Stand. We are devoted towards offering the qualitative range of SS SOP Stand, as per client’s precise need and requirements. 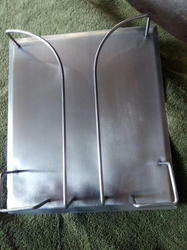 We are involved in manufacturing and exporting a wide range of SOP Stand. These products are manufactured and are designed in accordance with international quality standards using superior quality stainless steel materials. Our SOP Stands are efficiently featured to be flawless, sturdy and consistent. Infomate FRA Frames are used for Information Display. 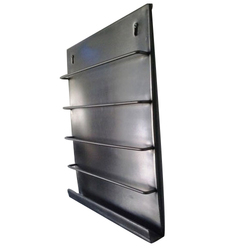 With vast industrial experience, we are involved in offering a wide range of SS SOP Stand.